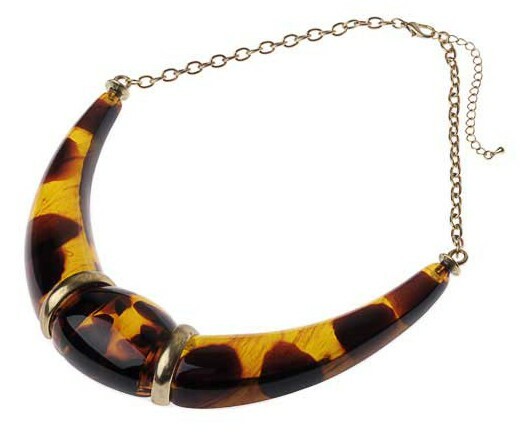 Animal print is a classic in fashion circles and this particular Leopard necklace ticks all the boxes in the style stakes. It's retro, definitely Deco and divinely decadent. Add it to an LBD for Parisienne chic. Wear it between the lapels of a jacket for show-stopping sexxx appeal. Or jazz up your jeans and tops for a touch of everyday glam. Wonderfully versatile. Matching earrings available. Antique gold finish. Length 41cm (16") + 8cm (3") extension.